It has now been one year since the start of what might be called “DoSu 3.0″. The original, started in 2006, was mostly a forum with exported news. Version 2.0 was a video slideshow of sorts, again using forum software. 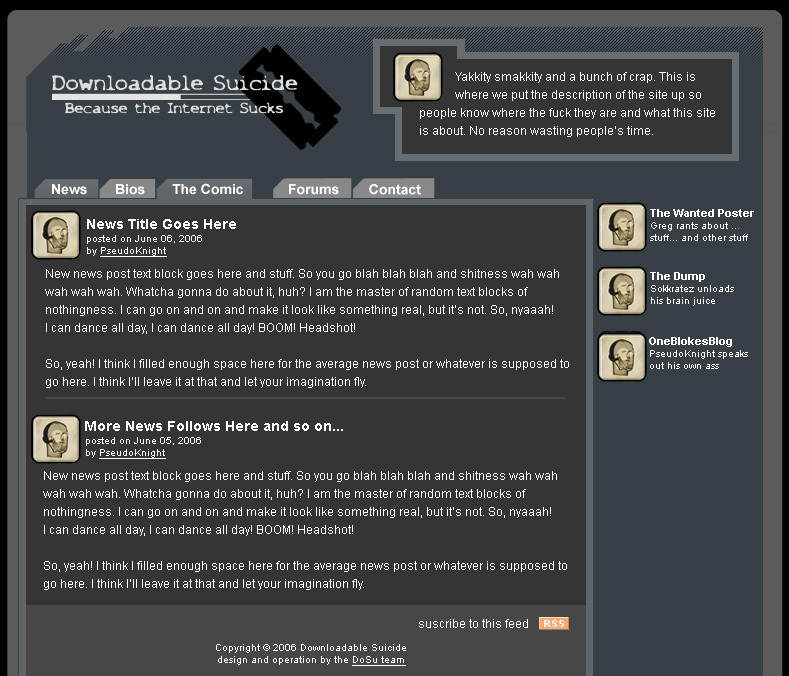 For this version we ditched the forums for blogging on WordPress, with our first official post on January 13th, 2008. Now that it’s been a year, and to celebrate the anniversary of our most successful version, we’re ready to launch a new forum. We weren’t satisfied with any old copy-and-paste forum with bloated features and hard to style tables, so we went with the sleek and customizable Vanilla boards. It helps focus conversation and community on a small site such as ours. Furthermore, we’re currently re-evaluating what content and coverage we create and how we present it. (as if we don’t make constant changes all year long) If you want to offer some suggestions (or encouragement) now’s a good time to do that.